A Florida sheriff’s deputy in Lee County has been fired after an investigation found that he ignored a 911 call from a woman having a heart attack so that he could finish his pizza, according to television station WZVN. According to an internal report released Wednesday, Lee County Deputy Yvan Fernandez was first dispatched to the home of a friend of the deceased woman, Gwen Minnis, 48, at 1:11 p.m. on March 13 after the county received a 911 call with no voice on the other end, WZVN reports. The report says that Fernandez was having lunch with three other deputies at a pizza-and-wings restaurant at the time and acknowledged the call from the 911 dispatcher. Eight minutes later, dispatch contacted Fernandez again, saying that the call was still open. Fernandez replied, saying, “Copy,” writes WZVN. It took nearly 30 minutes for Fernandez to tell another deputy to go to the home, but that deputy did not arrive until 2:04 p.m., nearly 53 minutes after the 911 call was made, the report notes. 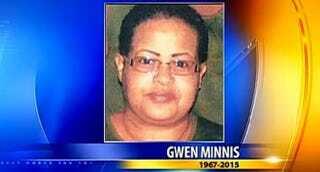 Minnis died of an apparent heart attack. A family friend, Cykecia Russ, told the television station that Minnis’ body was next to the front door the whole time and the woman was dead by the time deputies arrived. Lee County Sheriff Mike Scott told the news outlet that Fernandez’s actions were beyond negligent.